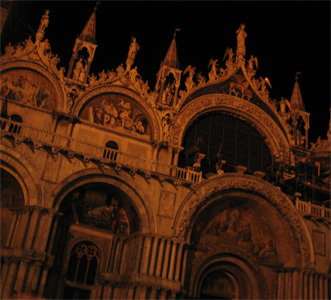 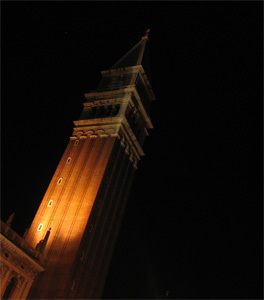 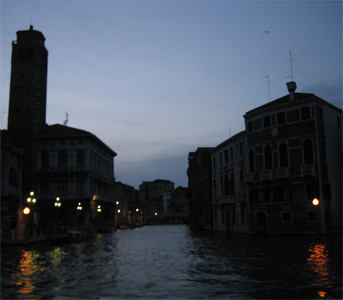 Our bus from Marco Polo airport got us onto the island of Venice just as dusk was settling in. 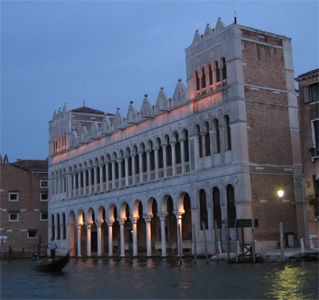 We picked up our apartment keys and jumped onto a water taxi heading down the Grand Canal towards the Castelo neighborhood, where our apartment waited. 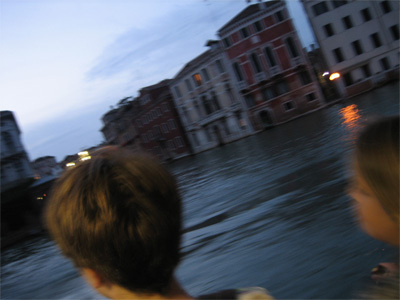 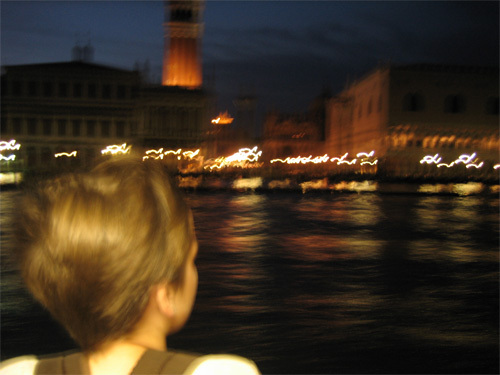 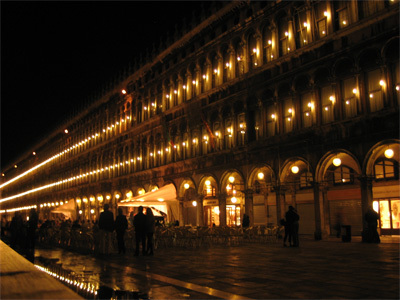 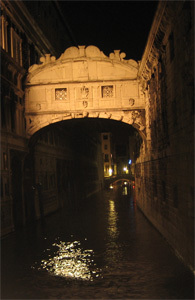 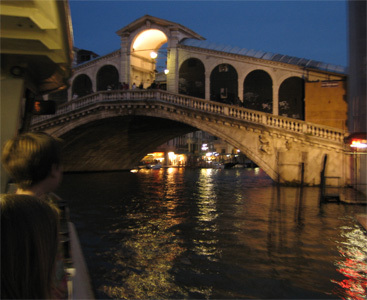 It proved a perfect way to introduce the daughters to Venice -- a long ride down the canal, as the sky turned a deep blue and the lights in the palazzos and on the bridges came up, reflected in the dark water. 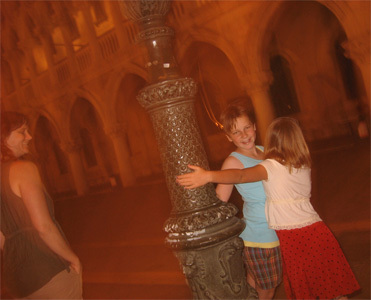 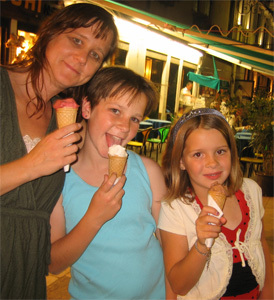 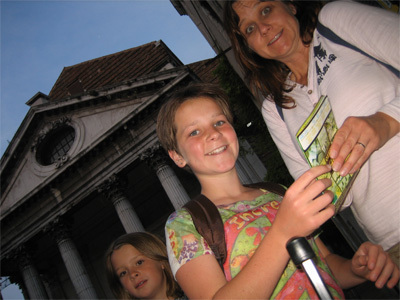 After dropping our bags, we made our way out through the quiet alleys of our neighborhood over to San Marco Piazza, to see the Doge's Palace, St. Mark's Basilica, and the Campanile, in the evening light, and to savor the first of many gelatos to come.